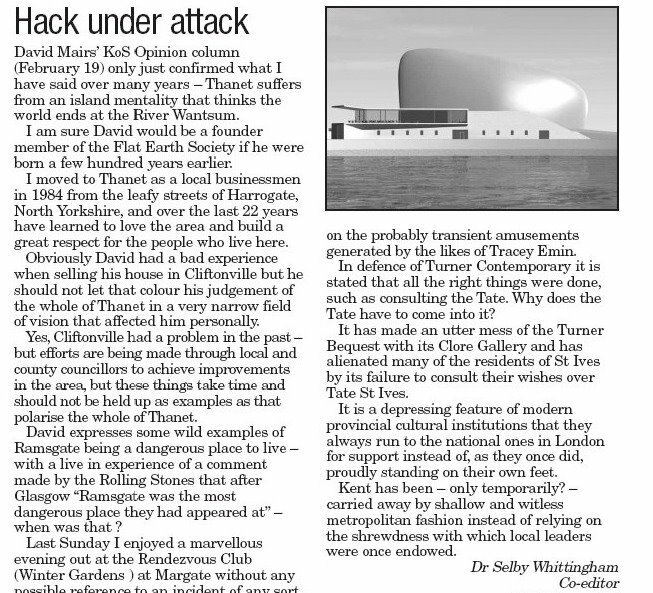 An interesting letter in Kent on Sunday this week. Apparently the future is rosy for Cliftonville but I’m sure others may have a different opinion on the subject? 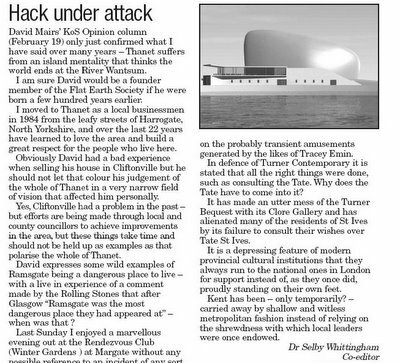 Which Cliftonville is David Mairs describing as I dont recognise my one near Margate in his article? Another report on Friday from the NCH about children in care, this time about educational acheivement. 54% of those in care (there are around 61,000 children in care) were entered for a single GCSE. Those in care find it hard to get into good schools despite government guidance prioritising children in care. In 2004, 6% of children in care acheived 5 or more GCSEs A*-C compared to 53% of children overall. The DfES says that by 2006, children in care should be acheiving results which are at least 60% as good as other children. That would mean in practice 31.8% of those in care acheiving 5 good GCSEs. Only 1% of those in care make it to University. My experience of foster caring has highlighted for me the problem of finding a place in a Thanet Secondary school for non KCC child in care; a refusal by KCC ED to take them in or meet some critical educational needs. The problem even with KCC youngsters is getting youngsters in care into school each day. I regret to say that NCH, Barnardo's and NSPCC closed excellent residential set-ups in the 80s and 90s and now spend most of their time and budget on ADVERTISING (see comments in recent years by charity commisioners). The NCH unit at Westwood was charging fees in excess of £600 per week to place a foster child there (more expensive than Eton) and NCH is a children's charity!